The Round Island Route starts in Cowes and then continues anti-clockwise. This cycling holiday would be considered a medium challenge for those new to cycling but easy for those that have cycled before. It is possible to add extra miles on either of the days depending on your ability. 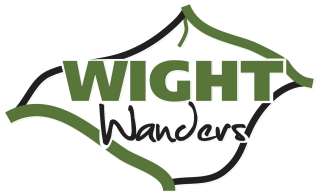 The 64-mile Round-the-Island Cycle Route was created by the Wayfarers Cycle touring club who developed the route for the annual Randonnee cycling event and is probably the best way to experience the variety of the Isle of Wight and to appreciate its true size. The permanently signed route (dark blue with white island) leads you along country lanes, through towns and villages, avoiding the busiest roads wherever possible. The verges of some country lanes are maintained for the benefit of wildlife are not cut until late summer. There is plenty to see starting out with the Royal Yacht Squadron as you leave Cowes. In addition to the world-famous Cowes Week in early August, there tend to be boating events on at most times throughout the season. The route then heads inland to Newtown the original Capital of the Island which was attacked by the French in 1377 and never recovered. The old town hall dates back to 1690,s and is now in the care of the National trust along with much of the surrounding land. Then passing through the small agricultural villages of Newbridge and Wellow before arriving in Freshwater Bay. Shortly after you head in land to the picturesque villages of Hulverstone and Mottistone where you stay the night. The next section of the route passes through the West Wight with far reaching views across the beaches and out to sea. Chale Bay was at one time known as the Bay of Death; sixty ships were lost here between 1746 and 1808. Nearby are the Wealdon Beds which have yielded fossilised remains of dinosaurs. Niton is the Southern most part of the route and the south east coast town of Ventnor has its own Botanic Gardens thanks to the mild climate, the Garden contains palms and many other varieties of sub-tropical plants. The route now heads inland along the base of the downs to Winford and Alverstone and continues onwards to the popular sailing town of Bembridge. The final part of the route arguably keeps the best or at least the most popular, til last though. The stunning Osborne House, a favourite retreat of Queen Victoria is the singular most popular attraction on the Isle of Wight. Thereafter the route continues back to East Cowes and the end of the Isle of Wight Coastal Route. Through out the route there are many opportunities to take detours into villages or local attractions. Whilst the main route is mainly road based we highlight any off road opportunities for those that fancy a little bit more of a challenge. To rejoin it either in the same place or a little further along. We will supply a list of these options when you arrive.